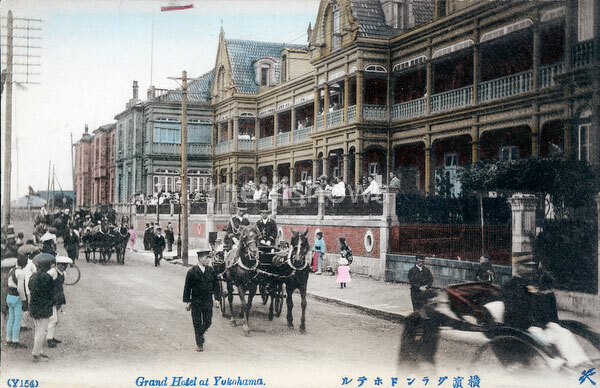 The Grand Hotel in Yokohama, Kanagawa Prefecture as it looked around the 1890s. The hotel was opened on August 16, 1873 (Meiji 6) and was soon considered the height of Western culture and elegance in Japan. See blog entry.